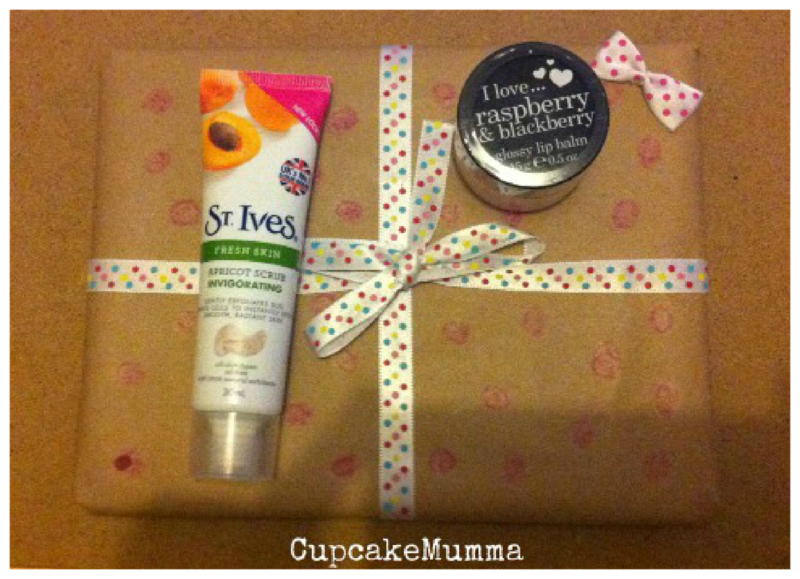 Cupcake Mumma: Polka Dot Themed Gift Swap!! 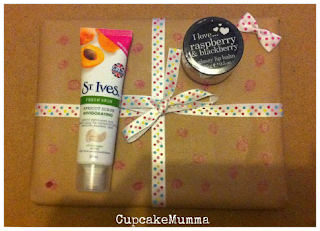 Polka Dot Themed Gift Swap!! I am absolutely loving my gift swaps at the moment. So far I've done a 5 item heart themed gift swap, a mug swap and I'm taking part in a sunshine swap with KatSighs. Then in October Ill be hosting my very own UK Mug Swap! For this swap, I turned to PopularCrafts who run a fantastic website and whom I see lots of on Twitter. I've just subscribed to their magazine as it's never in my local store! The theme for this swap was 'Polka Dots.' 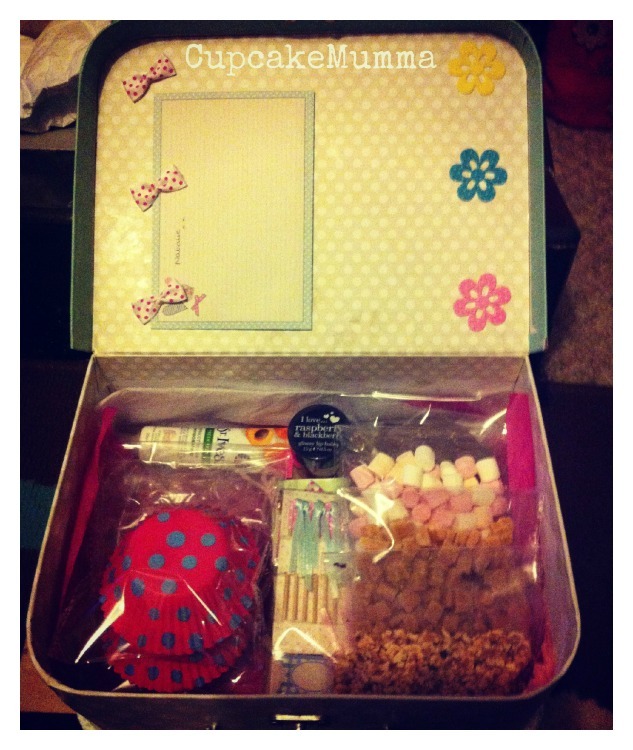 It took me a while to think of something as my swap partner, Natalie doesn't give much away on her blog! After admitting I was struggling a bit she said she loves to bake. Well, so do i! Of course as soon as she said this I knew exactly what I wanted to post off. 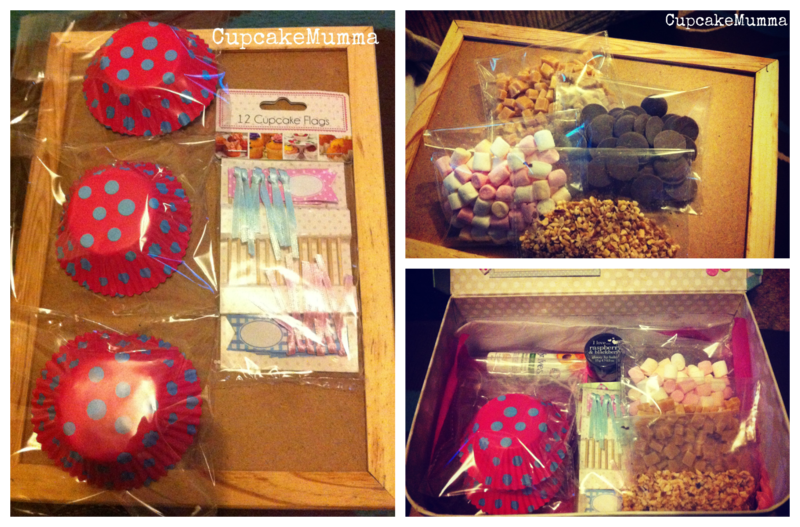 A small suitcase full of little treats to make some tasty treats for her and her family! First of all I scoured the shops for cake cases- these had to be polka dot themed. I was in luck! I found these great red and blue ones. I then picked up some flags to add a little 'tea party' theme to any cupcakes Natalie should wish to bake! Afterwards I popped to my local sweet shop to load up on some extras for toppings! I bought some Cornish fudge, mini marshmallows and some buttons. I put some chopped, roasted hazelnuts into a bag and cut up the fudge (saves Natalie a job after all!) Luckily there were spare buttons for the children and spare marshmallows for me yum! I printed off some themed paper, then added a cupcake print inside. 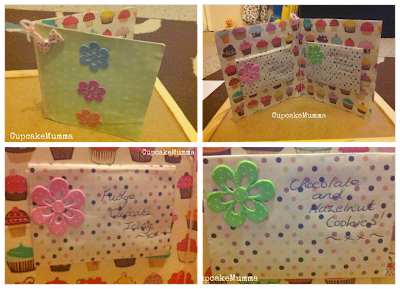 I handmade 2 mini envelopes and added a chocolate chip and hazelnut recipe and then a fudge icing recipe which is perfect with vanilla cupcakes. pink just couldn't be avoided-sorry! Here is what it all looks like! Packed up and ready to go! We also had to add a gift totally no more than £3. 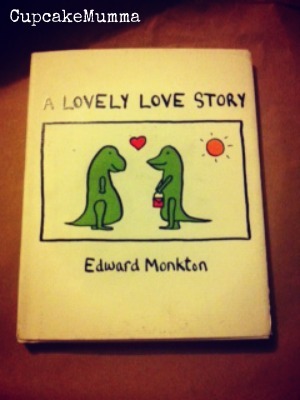 i think Natalie will love. Now I just have to wait and see how loved the package is!! I'm green with envy. That's so lovely.